Remarkable lightness and digestibility for this Wine only made of « Crus ». The Syrah are velvety and creamy, the Mourvèdre are crisp and balanced. This Wine has quite bright a future ! 12 months in one and two vintages old barrels, and 6 months in foudre. Allier and Tronçais. Decant an hour before tasting. "Ripe and direct, with a fleshy core of plum and raspberry preserve flavors injected with a dose of red licorice. Light black tea and mineral hints add range through the finish." "Spicy oak adds interest to the ripe, black cherries and dark berries, as well as garrigue herbs. The palate is plush and luscious, the ripe, mellow tannins carrying rich, mixed-berry flavors. Drink now." "Deep crimson. Warm, broad and spicy on the nose. Very refined sandy tannins and lift on the finish. Pretty firm on the end but, again, no heat. Lovely well-balanced fruit without excessive sweetness. One for the cellar." "There are two Côtes du Rhônes in the vintage, both possessing outstanding potential. 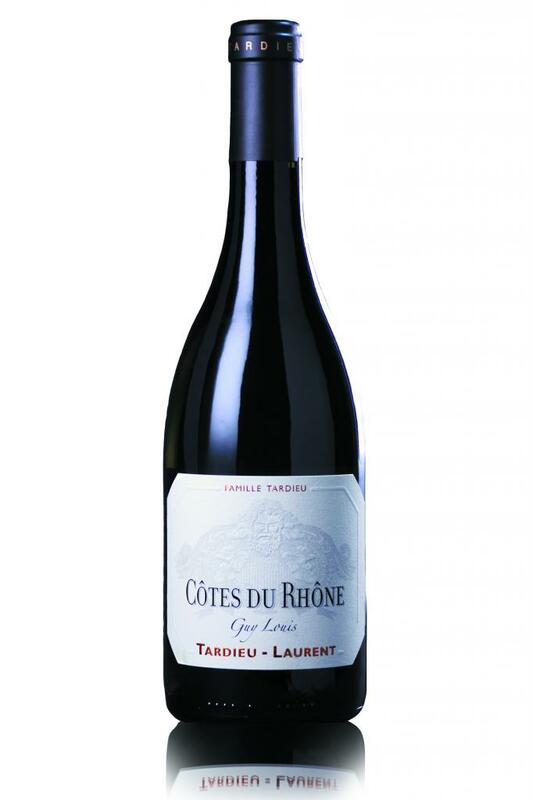 The 2016 Côtes du Rhône Guy Louis offers slightly more concentration as well as plenty of darker, almost blue fruits, licorice, graphite and hints of vanilla. It’s medium to full-bodied, has ripe tannin and a great finish." "Cet assemblage de crus compose un vin moderne et consensuel, élevé 12 mois en barriques et 6 mois en foudre."